Fidella Wraps are made from 100% organic Turkish cotton, renowned for its lasting natural sheen. The wraps are durable and lightweight at 205g/sqm, making them suitable for newborns and also give ample support to carry heavy toddlers. Baby wrapping is very easy because the edges of Fidella wraps are sewn in different colours to better distinguish bottom edge from head edge. 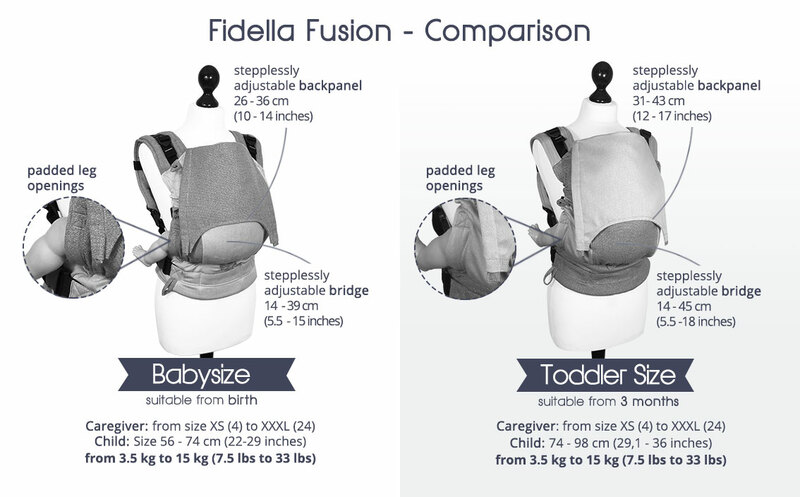 Fidella also produce carriers from its wraps namely the ring sling, Fusion (Soft Structured Carrier, SSC) and FlyTai (Meh Dai, a.k.a. Mei Tai). Visit our webstore for Fidella products. Refer to the diagram above. Infinitely adjustable backpanell, fixed by self-locking knot. Infinitely adjustable bridge, fixed by self-locking knot.